Our museums take a close look at the heart of our work: language, culture, and Bible translation. Come trace the history of writing. Find out where your alphabet came from—and how people are still making alphabets today. Or learn the importance of minority languages, and how former Mexican President Lázaro Cárdenas made a difference. Admission is always free. “Night at the Alphabet Museum”: In this new, free event, come experience excitement and fun as you find out what happens at the museum at night. What will you see? What will you hear? Recommended for age 8 and up. “Night at the Alphabet Museum” events begin at 7:00 p.m. See upcoming dates and reservation details on our event calendar. 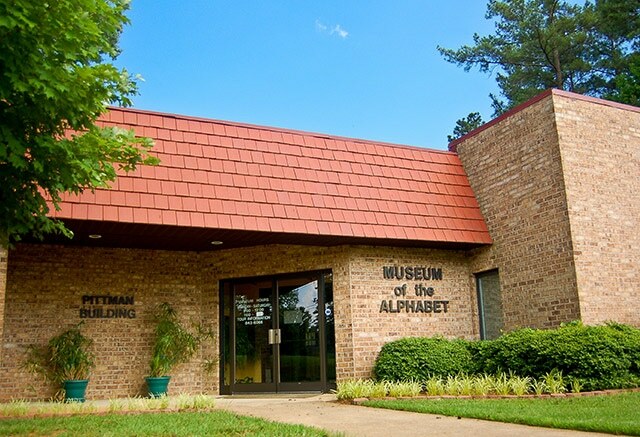 Be transported around the world as you visit the Museum of the Alphabet, where displays throughout 12 rooms trace the history of the world’s alphabets, from cuneiform to tonal languages to Native American language syllabaries. Explore other writing systems such as mathematics, music, and Braille. Learn modern stories of communities being transformed through literacy and Bible translation. Reviewers on TripAdvisor give it five stars. 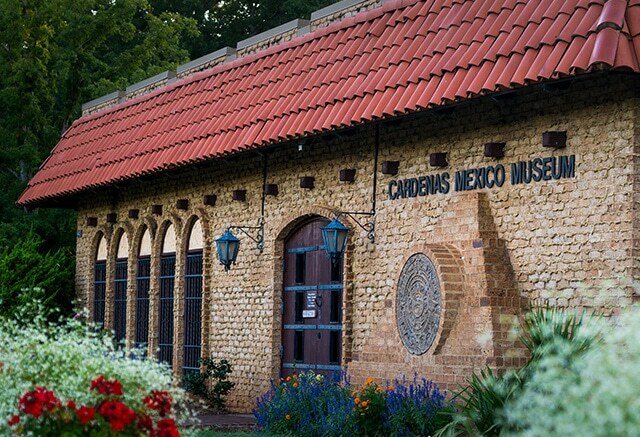 Learn how faith, service, and friendship between former Mexican President Lázaro Cárdenas and JAARS founder, Cameron Townsend, paved the way for Bible translation around the world. See examples of outstanding folk art, ancient jewelry, embroidered traditional costumes, Mayan and Aztecan school books, and historical photographs of President Cárdenas. Closed on Martin Luther King Jr. Day, Good Friday and Easter weekend, Memorial Day, Independence Day, Labor Day, Thanksgiving Day, Christmas, and New Year’s Day. Please note the following additional closings for both museums: Tuesday, March 5, 2019, closed until 12 noon; Friday, April 26, 2019, closed until 12 noon; Thursday September 26, 2019, closed 1-3 p.m.; and Monday, November 11, 2019, closed all day. Open 9 a.m.–noon on Christmas Eve and New Year’s Eve, unless they fall on a Sunday. Want to bring your class, family, club, or church group? We’ll give you a free guided tour. Just contact us at least two weeks in advance. Learn more about our options for school field trips (PDF).